There are the ones that regulary waste their whole food. Spending a weekend in your hometown or on a festival and your food turns into green and white. social mamfing // And yet other ones open their fridge in hope for something eatable. However, what they mostly discover are the typical things like butter, mustard, a cocktail gravy and mum´s homemade jam. Additionally to that, its sunday morning - oh great! creative mamfing // You don´t need to be a head chef to know that you won´t be able to mix something eatable out of that. generous mamfing // Eventually you did your groceries and you´re going to cook something really delicious - most of the time it concludes with a flooding pot, cause once again you cooked for a whole family. snap mamfing // As a complete reverse there are these spontaneously organized evenings of amicable cooking or these chilled dinners with your flat mates. You are cooking and chatting alltogether and you´re just having lots of fun. 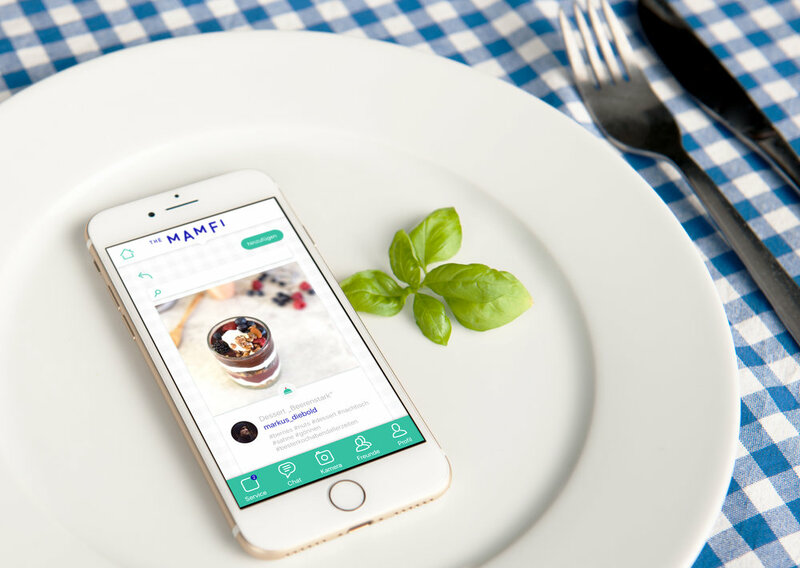 In help with the App "Mamfi" and these four day-to-day situations people will get paired to cook in common! The users will have funny dinners, they are going to meet new people. Nice recipes and pictures will inspire them and by the way – Mamfi helps to reduce food waste.